In the modern world we can experience danger from all sorts of places, some of it expected and some unexpected. For example, Ann Hodges was simply laying back on her couch relaxing a few decades back, feeling as safe as can be when a small meteorite broke through her roof and struck her – now that’s unexpected! Similarly, when it comes to travel most people worry about being harmed as a pedestrian or being in an automobile accident. Some will even consider the slim possibility of a flight going bad, which is something we’ve all seen on the news many times. When it comes to the railroad though, most people tend to feel quite safe. Just stay off the track and in the train itself while travelling, and all is well, right? Well, no, not quite. Today we’ll look at four facts you should know about rail accidents. 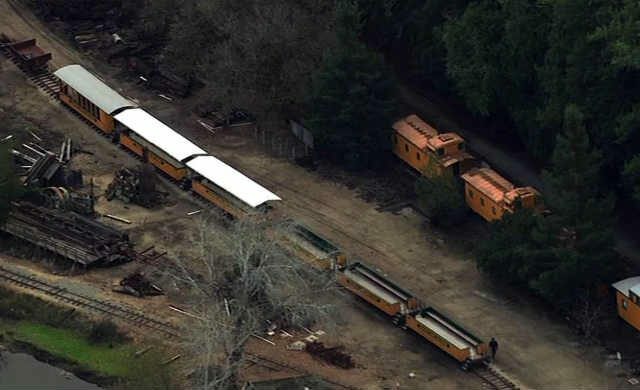 If you or a loved one has been involved in a rail accident, get in touch with a reputable group of lawyers to make sure you have the best representation and get what you are entitled to in terms of compensation. Furniss Law Firm is a good place to start, though there are other viable options available as well. A lot like planes, train accidents get a lot of coverage on the news. This can make them seem like a dangerous occurrence to some travellers. Thing is that travelling by train is a lot safer than cars and other methods of transport – except for planes, ironically. For every billion miles travelled by cars, 7.3 people will lose their lives in accidents. For railroad travel, this number drops to 0.43 per billion miles. Only planes are safer, at 0.07 per billion miles – although they do cover a lot more mileage per trip as well. 2017 saw close to 1,000 rail accidents per month on average, a trend which is quite normal. Most people don’t realize there are this many rail accidents, so it’s a very real threat! The majority of rail related accident victims are working when injured. Passengers are the minority though it does still happen. This isn’t really useful to most passengers as their chances of being in an accident are hard to predict. For railway company employees it means you really have to be alert at all times to stay safe. Planes are statistically the safest way to travel by distance, but anything going wrong can be a disaster for those involved. Likewise with trains, they are pretty reliable and unlikely to go wrong but if it does, the consequences could be massive. You’d be moving at high speed in a metal box that has just gone out of control with little in the way of safety features.